With modern trends favouring additional bathrooms in new build and renovated properties, the average size of the UK bathroom is shrinking. Simpsons offer a vast range of shower enclosures that are perfect for compact or unusually shaped bathrooms, to utilise the maximum space available. 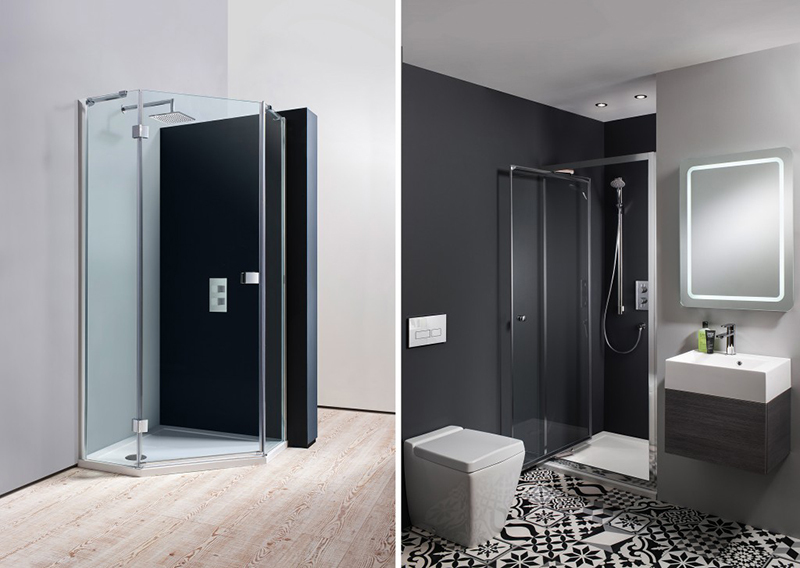 Ideal for narrow bathrooms, choose from a selection of space saving and fashionable door designs from sliding, corner entry and bifold doors that are all power shower proof. Where floor space is at a minimum, the compact quadrant and pentagon designs are a practical solution. Keep in mind whether it'll fit the space and whether it's spacious enough for all members. The bathroom has one of the highest volumes of traffic daily in any home so consider how many people are using it any one time and that there's ample access without being obtrusive. If you're looking for a relaxing design that isn't used by lots of residents, consider a walk in enclosure for a luxurious look. There's also the size of your bathroom to consider, if you have a smaller space to work with, you may find a bi-fold or in-fold shower door is more space savvy. Visit your local retailer to see the various options on display; you'll get a better feel for how it feels inside and whether it'll suit your lifestyle and practical family requirements. Where space is really restrictive, the Bespoke Service offers the opportunity to achieve a minimalist contemporary look in the most awkward of spaces where a standard shower will not fit. Superbly functional and available at any height or width combination, these doors offer endless possibilities for difficult spaces such as cupboards or bedrooms.